Monterey Park (CA) – Over two hundred students, community leaders, faculty, and staff, attended East Los Angeles College’s (ELAC) “Transforming Lives” Annual Giving Campaign kickoff celebration. The event was a global celebration of “Giving Tuesday” and included the premier of three short films and student testimonials addressing challenges, far beyond the cost of textbooks or tuition, directly impacting their ability to complete their educational goals. These challenges included housing, clothing, Transportation and Hunger. The event participants included CA State Assembly Speaker Anthony Rendon, ELAC President Marvin Martinez, Los Angeles Community College District (LACCD) Chancellor, Dr. Rodriguez, LACCD Board of Trustees Member, Scott Svonkin, City of Montebello Treasurer, Ashod Mooradian, City of San Gabriel Councilmember, Chin Ho Liao and hundreds of community leaders, ELAC students, faculty, and staff. “When we look after every member of our community, we make the community as a whole stronger. 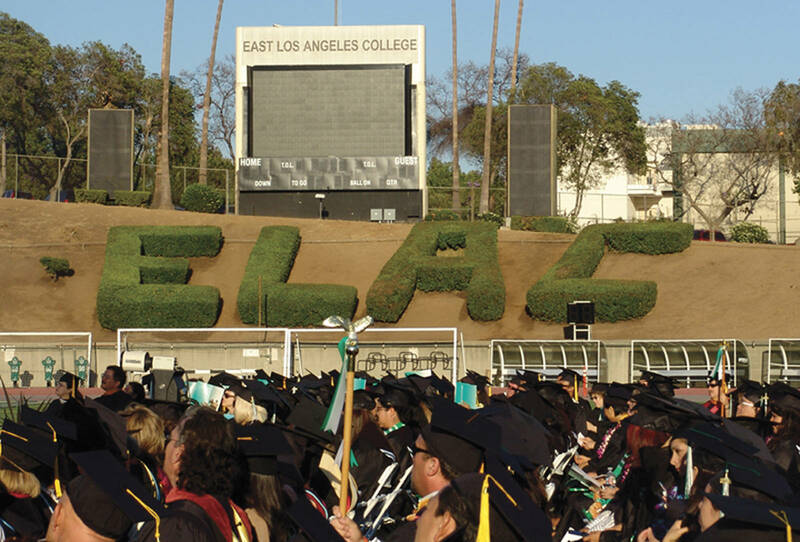 When we support our students at East LA College to succeed, we are helping the whole community to succeed. I thank all who generously supported the Transform a Life campaign and congratulate the entire ELAC community for the success of their kickoff celebration,” said Anthony Rendon, Speaker of CA State Assembly. Two of the event highlights included a presentation of two major donations of $25,000 and $10,000 to kick start the annual campaign. The first donation of $25,000 was by ELAC Chair of Physics Department Dr. Kiledjian in the honor of his late wife Anna Kiledjian and the establishment of the Anna Kiledjian Scholarship. During an emotional speech Dr. Kiledjian celebrated the life of Anna Kiledjian Galstyan who lost her battle with cancer at the young age of 36. The scholarship is to encourage ELAC student to get involved in some kind of cancer research either in a hospital setting or research university. During the event Dr. Kiledjian donated an additional $1000 to the “Transforming Lives” camping. The second donation of $10,000 was by JC & Associates Accounting Firm Partner and current ELAC Foundation Board of Directors Member Mr. Josh Chung. According to a recent ELAC ASU poll of ELAC students, 70% of students at East Los Angeles College (ELAC) have experienced hunger or food insecurity as students on campus. Furthermore, 42.6% of students at ELAC believe that their success as students is affected because of their hunger/food insecurity, and 67.7% of ELAC students feel that ELAC needs to work on providing programs to tackle student hunger/food insecurity.